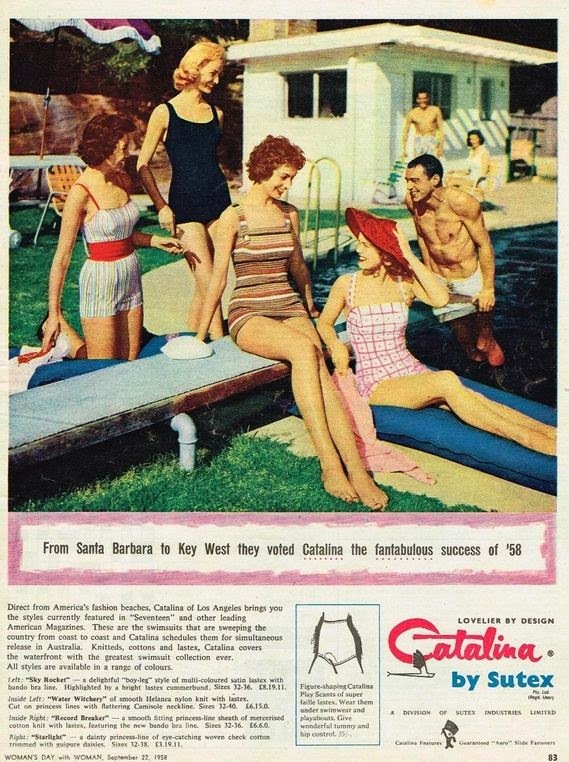 Did you know in the 1950's there were such things that used to be worn under your swimsuit or playabout? Introducing 'Play Scants' by Catalina. Figure shaping of super faille Lastex to add tummy control and hip control. Leopard vintage Bikini on Anita Ekberg - MEOW!